Three garages on the cliff edge at Happisburgh will be the next victims of the village’s long running saga of coastal erosion. The buildings, which all belong to the brick-built houses on Beach Road, will be pulled down by council workmen in the coming few days. The news was confirmed to residents in a meeting with North Norfolk District Council officers yesterday. Householders have been moving belongings out of the garages in preparation for the work. Around three metres of cliff have been lost to the sea since Christmas, leaving the garages teetering dangerously close to the edge. Before they fall to the beach, the council has a health and safety obligation to remove them. Thanks to a pledge made at a council meeting some months ago, the council will fund the work. Otherwise there would have been the fear that the residents would have to stump up the cost themselves. “It’s a big step for us, as it’s the first time anything on our property has been demolished,” said home and teashop owner Di Wrightson, who has lived on Beach Road for 23 years. “It’s a very unpleasant feeling and we feel very let down by the system. Residents have asked the district council to adopt a “sympathetic” approach to the demolition and to avoid using heavy machinery, which they believe could exacerbate rates of erosion near the cliff edge. Malcolm Kerby, co-ordinator of Happisburgh’s Coastal Concern Action Group, said: “This is a sad sad day, which I hoped would never happen. “But for every brick and tile that is lost, we will redouble our efforts. 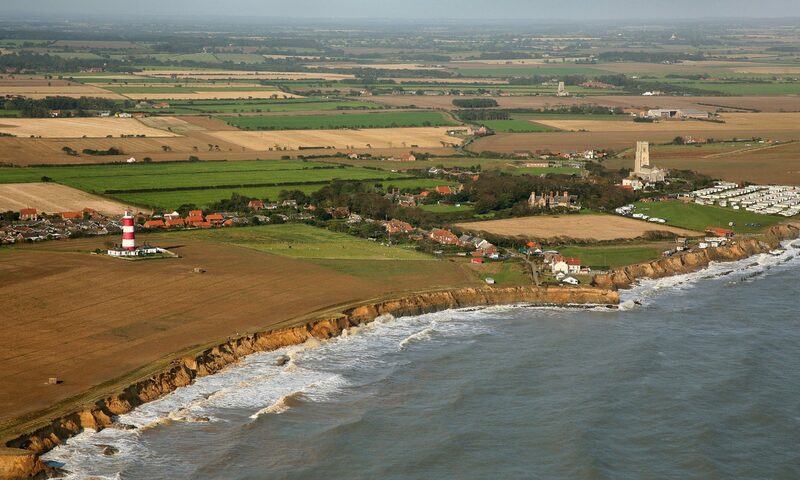 Mr Kerby maintained that the blame for the ongoing situation in Happisburgh lay at the door of Government rather than with the district council. The council’s head of law and property Peter Frew said demolition was likely next week. He added that plans were being considered to move temporary rocks around to improve defences, but this was unlikely to happen until mid March due to tides, access and availability of machinery. North Norfolk MP Norman Lamb described the news as a “sharp human reminder of the impact of neglect”.